The Artificial Crystal Growth industry requires meticulous temperature control over an extended period of time to precisely cultivate their products. Crystal growth companies need the ability to set a temperature profile and be certain that the exact profile will be followed without disruption. With long stages of uninterrupted care required, a control system cannot be subject to software updates or network outages. Due to the types of heaters involved, safety checks are paramount to prevent damage to equipment and personnel. Any minor hiccup can result in a significant financial loss. The established practice is to use individual temperature controllers with manual set-points or to exploit a single PC for each crystal growth system. This either requires a substantial amount of human interaction or a large number of PCs, with both solutions costly and susceptible to an unplanned software restart. 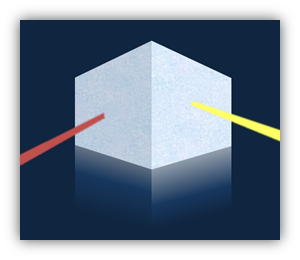 By developing Real-Time Solid-State temperature controllers that can run headless given a profile, the crystal growth industry can use a system that does not require tedious man-hours and is far more reliable than a PC based architecture. This innovation decreases the risk of an aborted growth run, while allowing several crystal growth systems to be controlled by one PC. Orbis has developed the Automated Temperature Control System (ATCS), a networked, solid-state, real-time control system perfect for long-term, critical temperature control applications. The system can independently control up to 23 heaters, while monitoring as many as 32 thermocouple readings. In addition, the ATCS can read the current passing through each heater to monitor for a stuck relay, short circuit, or open circuit. The system is based on the National Instruments cRIO architecture. Each station gets a real-time processor with an FPGA inside. The result? The system can go beyond simple set-points to custom profiles using intricate logic functions to control different temperature regions. 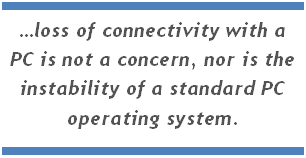 Plus, since the embedded real-time controller runs the control algorithms, the loss of connectivity with a PC is not a concern, nor is the instability of a standard PC operating system. ATCS allows for constant monitoring for faults. For example, in the event of a stuck relay, the system uses an “in series” backup to remove power from the heaters. The software can even monitor to ensure that maximum temperature limits are not crossed. This added level of protection helps prevent damage to costly custom manufactured equipment. The cRIO-9074 has a 400MHz real-time processor and a 2M gate FPGA for independent, reliable control of the ATCS and interaction with the C-Series DAQ cards. Control of the heaters is provided by the NI-9472, an 8-Channel Digital Output Module with a 6V to 30V range. These modules are capable of pulse-width modulation for a more precise heater output. Thermocouple inputs are read by the NI-9213, a 16-Channel Thermocouple Input Module. This module is capable of reading J, K, T, E, N, B, R, and S-type thermocouples, allowing for exceptional system flexibility. Current readings are taken by the NI-9201, an 8-Channel Analog Input module with a ±10V range. One of the central features of ATCS is the ability to run several controllers as networked components or to run a controller individually using an integrated Panel PC. 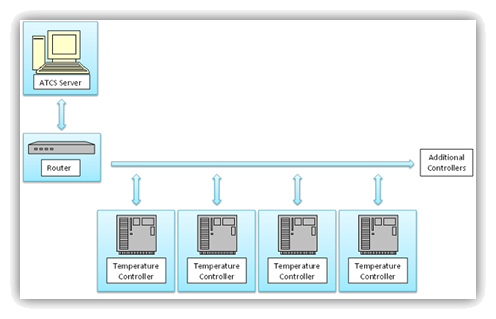 Although the setup involves a PC in both formats, the PC exists solely for user interaction; the system can continue to control the heaters even if completely disconnected from the PCs. This flexible architecture provides a control system that can fulfill multiple demands while increasing production yields. Finally, ATCS can data-log any measured parameter and set-point. This grants the user, in the event of a low yield run, the option to return to the data and determine if a set-point or temperature was not within spec or if a profile should be adjusted before the next growth. ATCS is a flexible system that gives the user the reliability of a discrete temperature controller and the logic, monitoring, and data storage capabilities of a PC controlled system. This system would benefit any company that needs long-term, reliable temperature control.